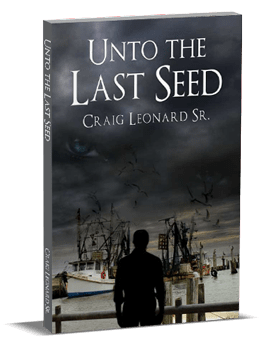 FORT LIVINGSTON, an "OLD FRIEND": - Craig Leonard Sr.
Mystical, adventurous and certainly exciting were all feelings I felt as a young boy every time I visited this Great-Grande Terre Island on the Louisiana gulf coast. I could always count on two things that made the trip to the island special. One was the endless adventure of finding and counting my uncles wild Brahma cattle herd which roamed freely on the island and the other was the exploration of Fort Livingston. As a kid, I was truly awe struck every step I took on this magnificent fortification. The fort is the only one of its kind on the Louisiana gulf coast! That alone makes it special. The fort was named Fort Livingston after Edward Livingston, a former New York City mayor who moved to New Orleans and opened a law firm. Mr. Livingston also happened to be our U.S. Secretary of State under Andrew Jackson and a senator from Louisiana, (a very interesting gentleman). The Fort was started in the 1830’s and work progressed at different intervals for many years to come but was never finished. Almost from the beginning when the foundation was laid, the fort was for all practical purposes, outdated and obsolete. I wish I could say that at that time back in the sixties I understood the historical importance of the old fort and that I knew how lucky I was to even set foot on the island let alone explore this wonderful fort, but that would be inaccurate. But where my reverence for the old fort was lacking, my memories and attention to details were not. The beautiful marble steps which ascended both on the east and western sides of the fort were massive. Once you climbed up the steps and reached the top of the rampart you must tread carefully my friend for there are holes up there wide enough to swallow a young boy. I later concluded that these “holes” were actually old chimney tops. When standing at the eastern end of Grand Island looking out across the channel at the old fort you will notice thin slits seemingly cut in the face of the fort. These slits are actually gun slits which would have allowed a soldier to fire his musket at a passing enemy. If my memory is true, there were two gun slits per room so if you count the number of slits you could come close to guessing the number of rooms on that side of the fort. These rooms behind the slits had hanging on its walls on either side, three inch round iron rings about the right height to mount several sleeping cots. Believe it or not, fort Livingston has–or had–a moat around it! Yes, a real “knights in shining armor” castle moat! Fort Livingston’s moat not only contained water, it also was home to a number of alligators! Yes you hear right, on a barrier island on the Louisiana gulf coast lived alligators in that moat. And yes, I was more than a little nervous with the hair on the back of my neck fluttering every time we went near the north side of the fort where they swam freely. How they got there and do gators swim there today, I haven’t a clue. I would be curious to know if anyone ever heard of gators on any other islands like Grand Island, Elmer’s Island, Fourchon etc. I know I haven’t. At the time, I didn’t understand the importance of this old fort, or for that matter the importance of the entire island. As I thought about writing this blog the word monument kept entering my mind. The fort is a monument. A monument to the history of our country and state, a monument to the pioneering spirit of our ancestors and yes a monument representing the toughness and resilience of today’s Cajun people who stand strong and proud in the face of great adversity. I’m not the first or the last to set foot on Fort Livingston and I’m not making any claim to know more than anyone else when it comes to this subject. What I do know is that every time I look out across the channel, I see and remember, an old friend.